Carousels have attracted crowds of people for centuries. This family past time can create new memories for some, while making it possible to relive memories for others. Our Carousels also provide an increase of customer traffic to their surrounding neighbors. 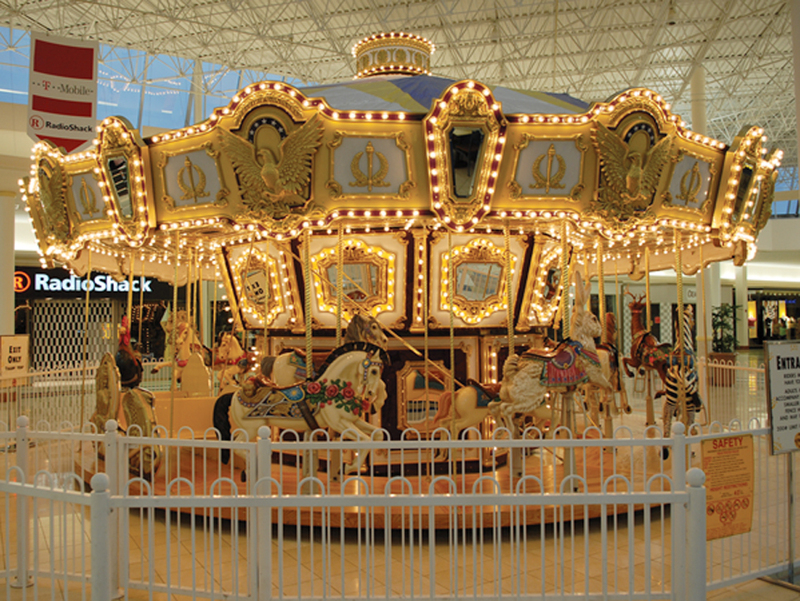 As patrons make their way through the Mall, our carousel is almost always on their must visit list. We offer different size carousels, 15′, 22′, 28′ or 32′ as well as double-decker carousels. We have partnered with Chance and Bertazzon in order to make custom carousels to match any specific color scheme, style and size to match the surrounding areas. Trains have been a part of American tradition for generations, fascinating children and adults alike! Trains have been captured in cinematography, photography collected and even have museums dedicated to them. Our trackless trains provide a safe, fun, environmentally friendly way to experience the nostalgia of the train for the whole family. 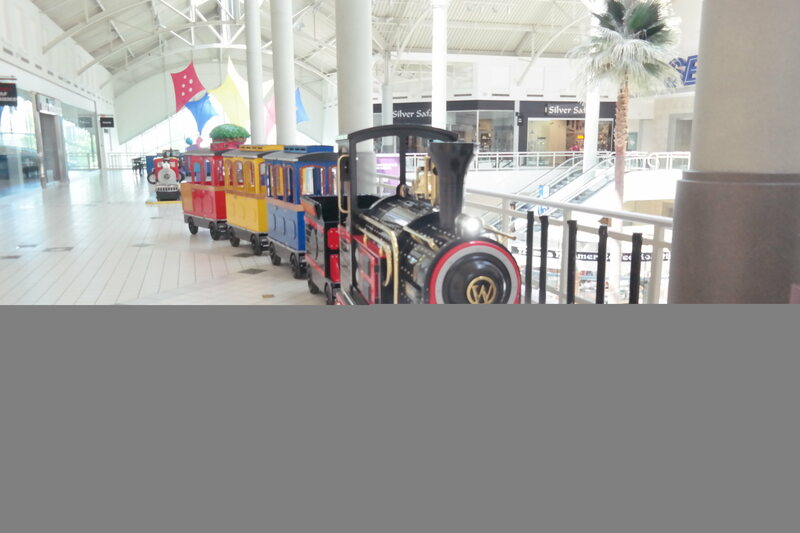 Trackless trains can be placed almost anywhere throughout the mall. They can also be used as a “people mover” moving mall patrons from one side of the mall to the other.